NEXT MEDITATION: Tuesday April 9th. This is an introduction to the power of meditation. It’s a quick foray into the possibilities and power behind setting aside a small amount of time to reconnect with a deeper sense of self. Often we’re swimming upstream, trying to get somewhere, without realizing there’s a different direction that will take you to new horizons. This meditation will help you recognize an easy way to navigate your way through situations fluidly. 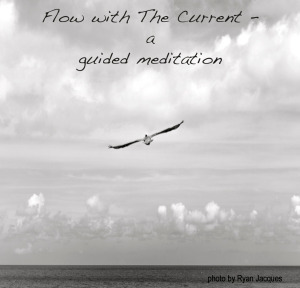 Let yourself move with the current and glide your way to where you want to be. This is a premium meditation! There are so many places you can go in this life. Where are you going? How will you get there? Connect with a Future Probable You who already knows the Way to where you’d like to go. This Self can guide you through the often difficult Hows. Your own Future Self knows The Way, allowing you to relax and trust The Process. Do you have a particular issue or belief that you would like to address and work on through meditation? Here’s an opportunity to have me do a custom-made meditation, specific to your particular issues and concerns. This can be a profound tool to move beyond limiting beliefs. You will receive a high quality CD recording of your meditation or a link to download the meditation. You do not need to be present for this to be done. You need only request through email or phone conversation the subject area of your meditation. 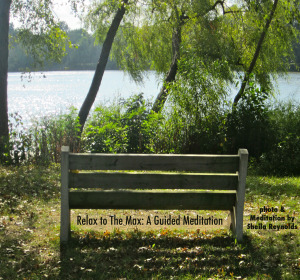 In-person Guided Meditations are also available. Email me: sheila.reynolds@verizon.net if you would like to talk to me about arranging this.